This is what you eat when you want to fill a red solo cup full of champagne and toast to the perfect October afternoon. It’s the next best thing! I mean, kinda. If you have a bun in the oven. Ummmm let’s talk about my toast. 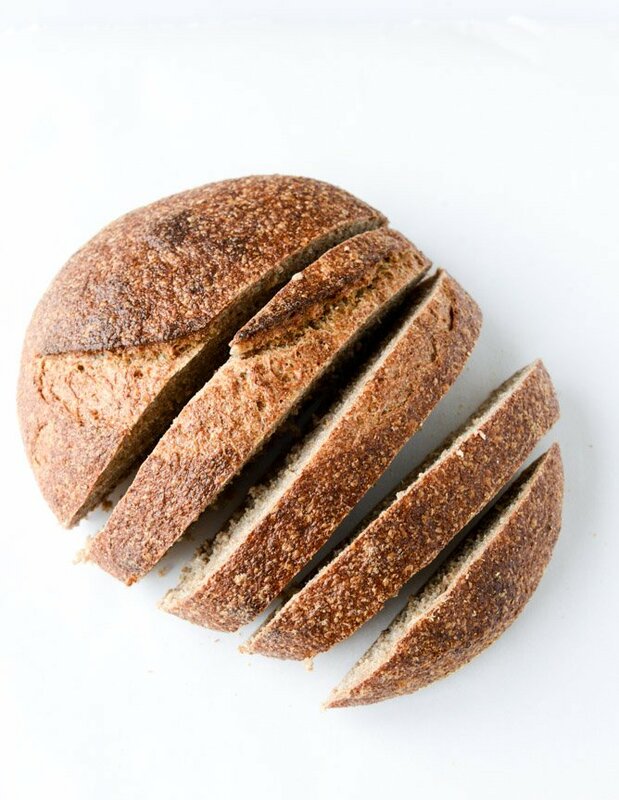 First, this is a serious whole wheat sourdough (how do they do that?!) situation that I got from Whole Foods. Second, my toast is TOASTED because if you recall I prefer to eat actual toast. Constant fight in this house. I make toast and turn the toaster to the highest setting. I don’t turn it back down because toast should be darkly golden and toasted! Eddie makes toast and ends up burning it. He prefers warm bread and gets mad. I’m clearly super into autumn things right now – like these autumn acai bowls from last week – and it’s obviously AUTUMN toast and not boring old FALL toast because it should sound prettier. However, it’s basically my way of throwing all sorts of in-season stuff on top of food and making it sound fancy as heck. 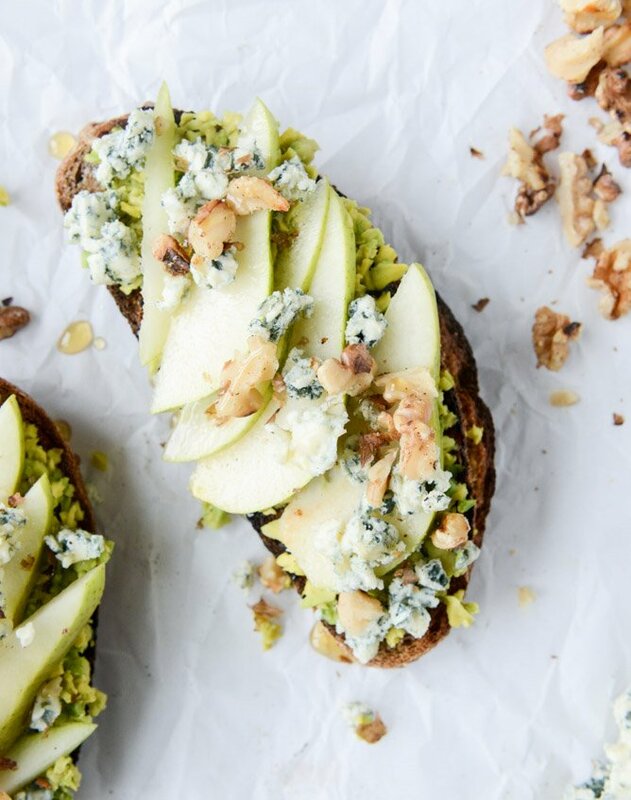 So it’s sort of a cop out – I mean, it’s not like it’s hard to mash avocado on toast. But the flavors are so freaking delicious that I can’t even stand it. And this little snack (meal?) here keeps you FULL. 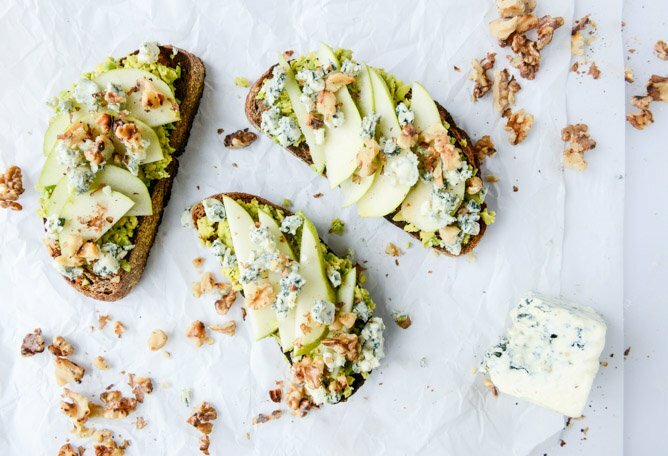 The avocado, the toasted walnuts, the cheese… ugh. Just so darn good and filling. It’s the best breakfast or second breakfast or lunch or second lunch. It’s almost like a salad on toast. Right? I’m really into eating right now. Like all day. If you couldn’t tell. Add the walnuts and cinnamon to a small saucepan over medium-low heat and toast until golden and fragrant, about 2 to 3 minutes. Make sure to stir and shake the pan so the nuts don’t burn – you want them golden in color and nutty-smelling. 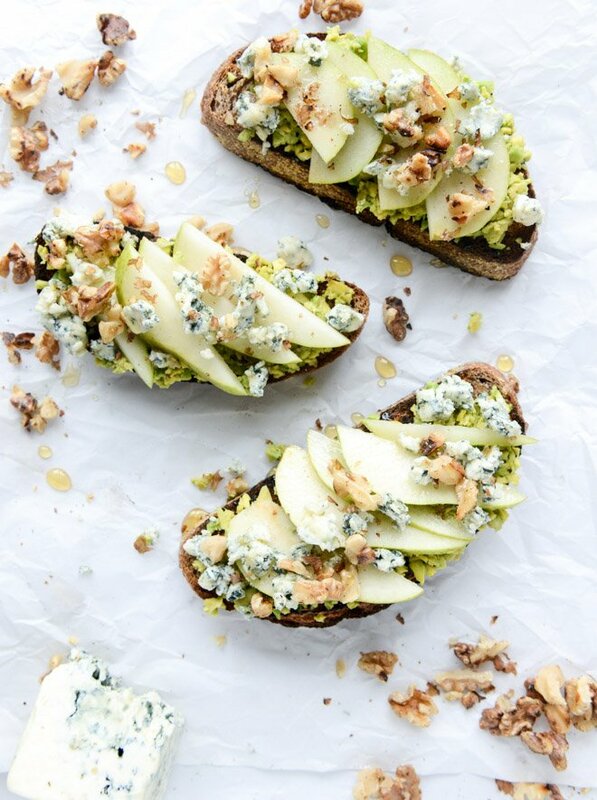 You can break them apart a bit before or after toasting to make it easier to sprinkle them on top. 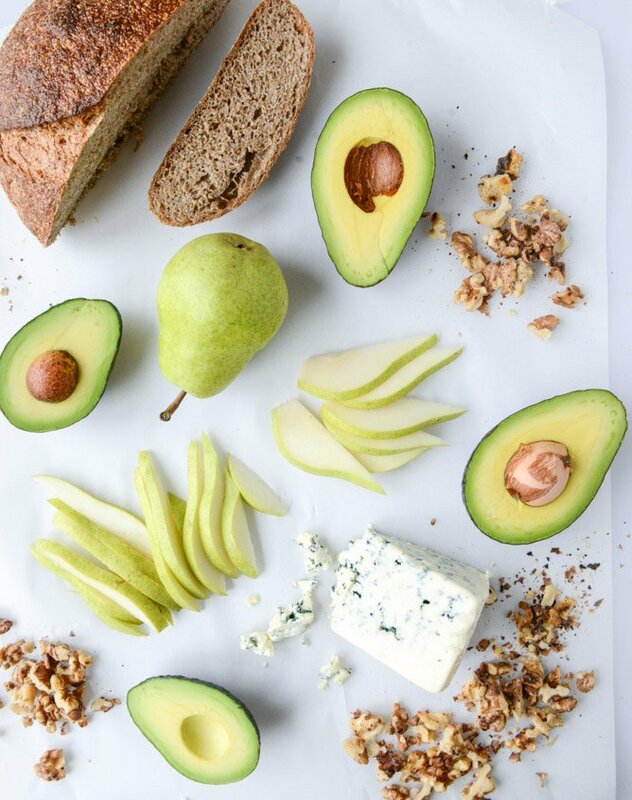 Smash the avocado in a bowl with the salt and pepper. 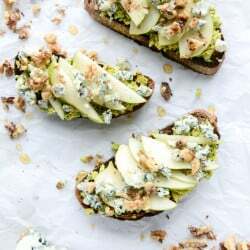 Spread it on the toast and layer the pear slices and gorgonzola on top of the avocado, followed by the cinnamon walnuts. Drizzle the entire thing generously with honey. EAT! On Life Lately… Adventures in Baltimore, Philly, Boston and Other Stuff. Baked Goat Cheese with Roasted Garlic and Pull Apart Baguettes.